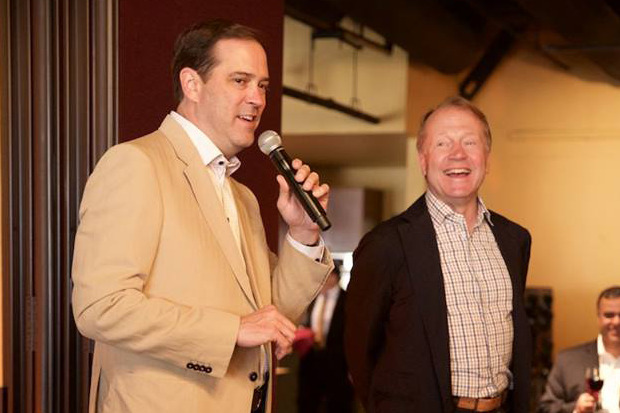 John Chambers, who served two decades as CEO of Cisco and for the last two years has been executive chairman, announced today that he will be leaving Cisco’s board of directors this year. Cisco CEO Chuck Robbins will be appointed chairman of Cisco’s board of directors when Chambers vacates the position. Chambers was appointed CEO of Cisco in 1995 after joining the company in 1992 as head of its sales division. He served in the role until 2015, growing company revenues from $1.2 billion to more than $50 billion. During the past two years, Robbins has run day-to-day operations and managed overall strategy. Chambers has, however, made numerous appearances around the world on behalf of the company. After just two years as CEO of the networking giant, Robbins’ fingerprints can already be seen across the company. Cisco has been on a merger and acquisition spree in recent years, buying companies such as Viptela, AppDynamics, ContainerX, CloudLock, CliQr Technologies, Jasper Technologies and OpenDNS, among others. Robbins has also strategically disaggregated the company’s hardware and software and migrated to selling the software as a service. “Chuck has been very decisive, very aggressive,” Kerravala says. “From a customer perspective, he’s made Cisco products easier to procure and easier to deploy and manage.” Kerravala says he’ll be interested to watch how the company addresses its slowing growth in the campus network hardware edge infrastructure market in coming years. Cisco’s announced plans for intent-based networking software could play a large part in that, he adds. Cisco will hold its next board meeting in December, when these moves are expected to be finalized.